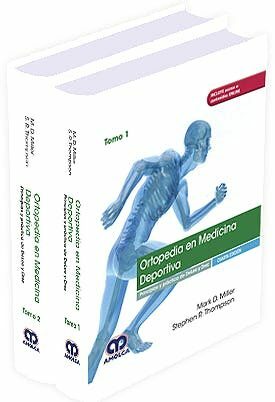 SEAN BIENVENIDOS A LA TERCERA EDICIÓN DE TÉCNICAS MAESTRAS EN CIRUGÍA ORTOPÉDICA: LA COLUMNA VERTEBRAL. DESDE LA PUBLICACIÓN DE LA PRIMERA EDICIÓN EN 1997, EL CAMPO DE LA CIRUGÍA DE LA COLUMNA VERTEBRAL HA CONTINUADO SU CAMINO A UN PASO VERTIGINOSO. QUIZÁS NO EXISTE OTRA RAMA DE LA CIRUGÍA ORTOPÉDICA DONDE LA TECNOLOGÍA HAYA CAMBIADO TAN RADICALMENTE EL TRATAMIENTO QUIRÚRGICO. HEMOS BUSCADO A ESOS MAESTROS CIRUJANOS, QUIENES NOSOTROS PENSAMOS QUE SON LÍDERES EN ESTA DISCIPLINA Y LES HEMOS PEDIDO QUE PRESENTEN SU MATERIAL EN UNA FORMA LÓGICA Y CONCISA, HACIENDO HINCAPIÉ EN LOS PUNTOS IMPORTANTES Y ACLARANDO LOS PASOS A TOMAR PARA REALIZAR CADA PROCEDIMIENTO. LAS TÉCNICAS ESTÁN MUY BIEN ILUSTRADAS Y LAS COMPLICACIONES Y ERRORES A EVITAR ESTÁN SUBRAYADOS. ASÍ COMO EN EDICIONES PREVIAS, CONSIDERAMOS QUE EL LECTOR SE BENEFICIARÁ ENORMEMENTE DE ESTA EDICIÓN; DE HECHO, NOSOTROS MISMOS HEMOS ESCOGIDO GRAN CANTIDAD DE OPINIONES PARA HACER UNA GRAN LABOR Y ESTAMOS IMPRESIONADOS POR LA EXPERTICIA DEMOSTRADA Y LA DELICADEZA DE ESTE FORMATO. ESPERAMOS QUE LO ENCUENTREN TAN ÚTIL COMO NOSOTROS.